"A cosy, unpretentious chalet furnished with alpine wood panelling. From the entrance to the chalet complex, you are a 250m walk to a button lift, which takes you up to the main lift base for Les Arcs 2000. The Yogi is an ideal option for those wanting catered accommodation in a resort that suits all tastes. 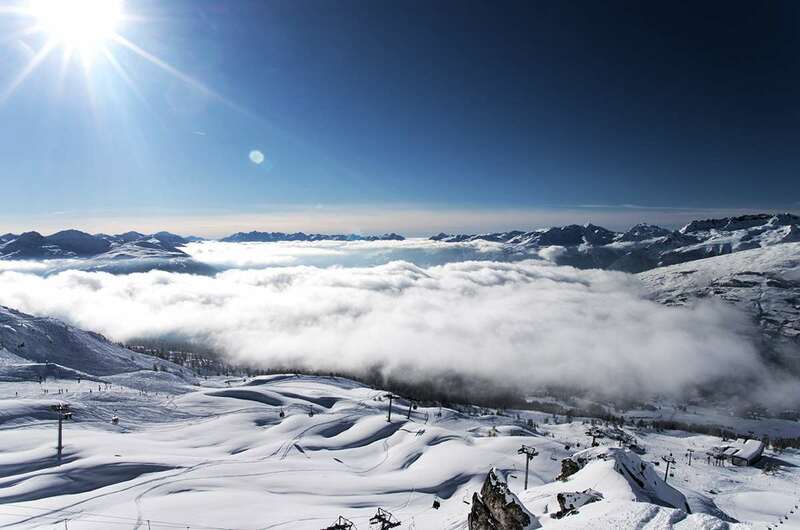 As one if the highest ski resorts in the Alps, snow is guaranteed. There is challenging skiing and boarding, on and off-piste, from the top of the Aiguille Rouge above Les Arcs 2000 along the Glacier du Veret. Intermediates will love the hundreds of kilometres of cruising blues and reds." Furnished in the classic, comfortable Alpine style of all the apartments here, the accommodation has a warm ambience created by the wood-panelled walls throughout.Free Wifi, satellite TV, and hairdryers in every room complete the comforts. Holiday was good. Including chalet, staff and snow. I did not see any edible fruit for 5 days, therefore I ask for it and the next day there was plenty. I should have asked earlier. I do find that I payed too much &#163;124 single supplement(was last minute Friday booking for Sunday) and also another &#163;24 for the kind of room I had(balcony/bath)It was the only room left. There was even a whole chalet not booked at all. It is not the first time that I booked with your company. Because of this and knowing what other people payed for last minute, I am disappointed.